We are excited to share our event spotlight for Melanoma March 2019. Last month we announced the release of our new White Label Functionality. These white label improvements were our most requested features so we’re thrilled to show you how they’re being used on the new Melanoma March website. Melanoma March is in its eighth year and is Melanoma Institute Australia’s major annual fundraising campaign to support melanoma research. The 20+ Marches held across Australia bring together the whole melanoma community to raise awareness and funds for melanoma research. Customisable user journey with an optimised process for joining or creating a team. 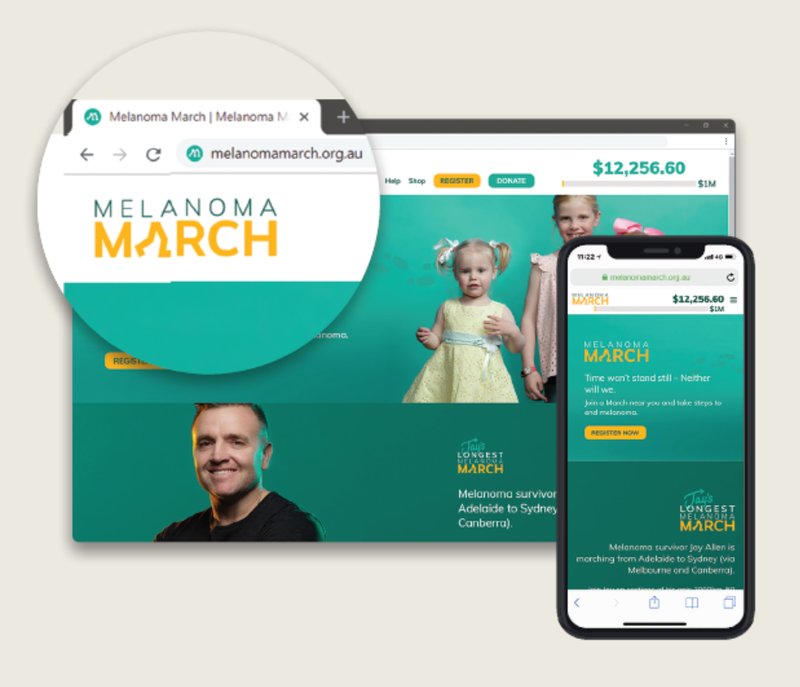 The Melanoma March website also uses our WordPress plugin enabling the power of WordPress combined with the proven capabilities of the GoFundraise platform. The microsite includes custom features such as the postcode search (to find the March closest to you). The user experiences a seamless journey as they browse from the homepage to any of the location pages. Melanoma is the most common cancer in young Australians (15–39 year olds) and kills more young Australians (20-39 year olds) than any other single cancer. MIA has extremely passionate and loyal supporters and it is important that they have a seamless and branded registration, fundraising and donation experience as they march to find a cure.